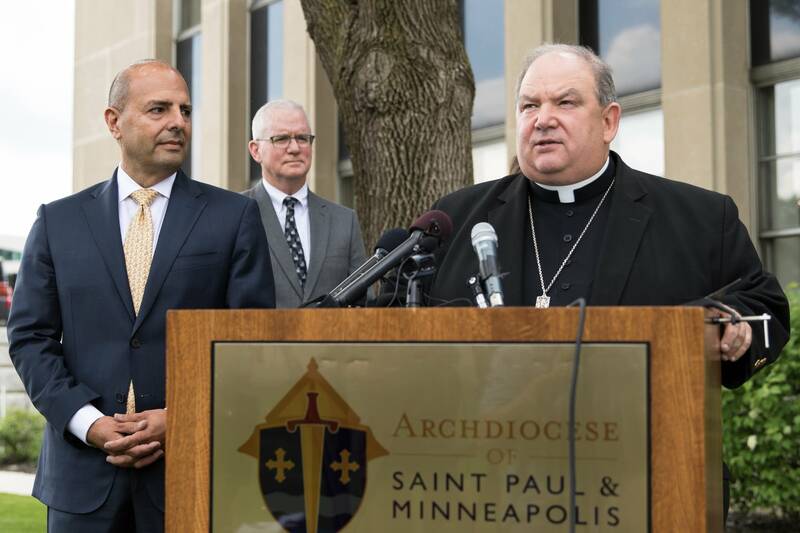 The Archdiocese of St. Paul and Minneapolis is hoping for a speedy vote and approval of its reorganization plan, which it filed Thursday in federal bankruptcy court. Details of the plan have been known for weeks. It provides $210 million to compensate victims of clergy sexual abuse. But now there'll likely be a series of court hearings — and votes by abuse victims, Twin Cities parishes and other parties. "We certainly expect everybody to vote in favor of it," said Thomas Abood, chair of the Archdiocesan Reorganization Task Force. "And I think we'll be looking to ask [the judge overseeing the bankruptcy case] if there are ways to expedite the voting process." The plan calls for the appointment of a person to review abuse victims' claims and assess how much compensation they should get. Victims would be assigned points based on who abused them, as well as the type, length, frequency, and impact of the abuse and other factors. The points awarded an individual would help determine how much money that person receives. Typically, in cases like this, victims' attorneys get about a third of settlements. That'd be about $70 million with the archdiocese plan. And with the archdiocese collecting $10 million to pay for legal and professional fees it incurred, there could be just $130 million to be shared among some 450 abuse survivors.